Mani has two main tourist attractions. 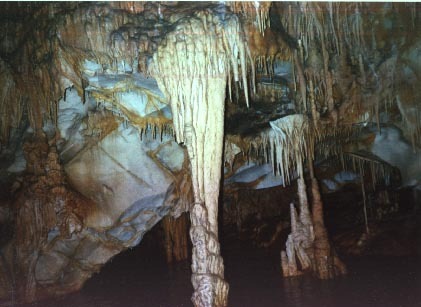 Its towers and the Diros cave system. The cave system being the more splendid and breath taking. 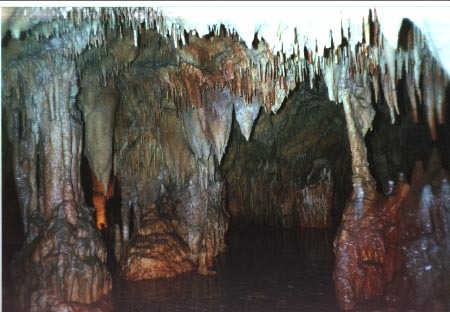 Unfortunately because of the lack of tourism in the area, I have been able to find little of factual information on the cave system. 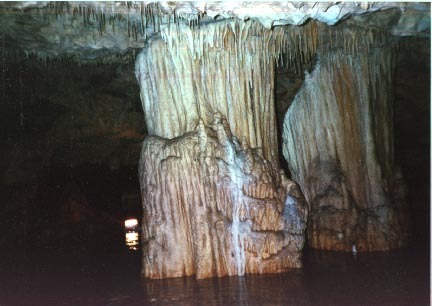 An underground river moving through the limestone that makes up this part of the Mani forms the cave system. The part that can be explored is just outside of the town of Diros, near where the river seeps into the sea and a beautiful bay. 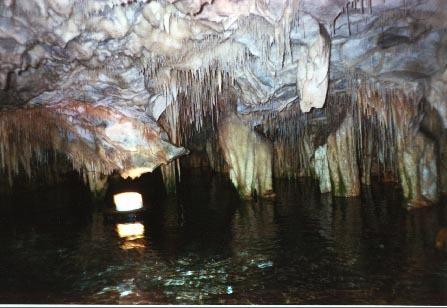 Cave divers have attempted to explore the cave and it is believed that the river system goes as far north as Sparta. Human remnants from the Neolithic times have been discovered in the caves. Which is to be expected because it is one of the only sources of fresh water in the area. 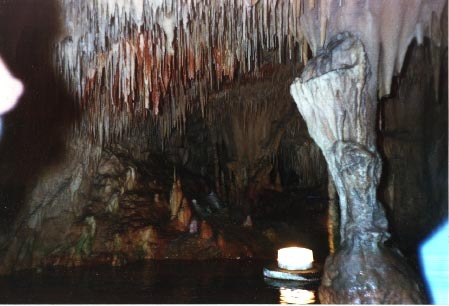 If you take the tour, you are punted through the frigid waters among stalactites and stalagmites. It is a truly amazing spectacle to behold. 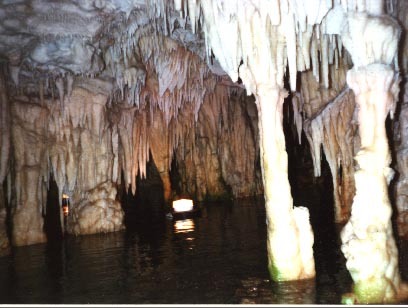 You are viewing thousands of years of water doing its work through the lime stone cave system and it leaves the visitor awe struck with its natural beauty. I hope you enjoy the photos. Any comments, please E-mail me, . Click on the title or thumbnail to view the larger picture.